With its magnesium alloy case and anodized aluminum display enclosure, the 5102 is an extremely solid netbook. The 5102 quality is one of the best in the netbook market, and it never once felt cheap or flimsy during the review (though, the brushed aluminum display enclosure and the touchscreen are absolute fingerprint magnets). The 95% full sized, spill resistant keyboard is simply the best keyboard I’ve ever used on a netbook, and it could easily rival many of the mushy keyboards found on too many of the full-sized laptops on the market today. The keys are coated with a wear-resistant application that HP claims make them 50 times more resistant to wear than typical keys. The 10.1” (1024x600), LED-backlit multitouch screen provides good image quality, but the multitouch aspect was not as useful as I had anticipated. Given the small size of the screen, I found that many times I had trouble touching the correct icons (hitting minimize when I was trying to close a window), and HP maintains that they anticipate more developers will create applications that will maximize on the touchscreen capacity of the unit. Increasing the size between icons would be a big step toward making the touch a more useful feature during standard navigation. The multitouch does work well when simply touching the screen to scroll through web pages, or pinching the screen to zoom in and out when viewing images. The 5102 is also available with a higher resolution (1366x768) screen, but the better resolution does not come with a touchscreen option. The 5102 handles video better than the typical netbook, and tests watching videos both online and from files loaded locally were mostly successful. There were still slight catches in the video periodically, but when watching standard definition content, the 5102 performed well. HP also offers a high definition Broadcomm decoder card that makes watching high definition content possible, though our review unit did not have that option present. The 6-cell battery life is incredibly impressive. The battery lasted nearly 9 uninterrupted hours during heavy use. The unit would have no issue lasting an entire school day for students without needing a charge. The 5102 also comes with an optional swingout handle located on the bottom of the unit that would likely be a welcome addition for students who carry the units from class to class in a 1:1 environment. The unit also comes equipped with a 2 MP webcam integrated into the bezel of the display. The unit runs on the most current Atom chipset, and is available with either an N450 Atom 1.66 GHz processor or an N470 1.83 GHz processor. The 5102 is also available in black, blue, and red for those seeking choice in colors. With a welcome change in the design of the mouse from previous HP netbooks, and with the incredible keyboard, the 5102 is a pleasure to use. Typing long passages and navigating through a multitude of applications and websites was both easy and efficient, and there was seldom a time when it felt like a larger laptop was needed to complete a task. Although the touchscreen offered additional options to navigate tasks, the operation of the unit without utilizing the touch capabillities was such a good experience that I often forgot that the touchscreen was even present. HP also included several intriguing tools on the 5102 unique in the netbook market, the first being their QuickWeb feature. When the 5102 is powered down, a user can press a quick launch button to launch into QuickWeb. This initiates a 20 second boot up into a Linux-based operating system that offers access to a web browser. This feature is intended for quick searches at times when a user doesn’t want to go through a full boot up. A similar feature, titled QuickLook, operates in a related fashion. By pressing another available button when the unit is shut down, the 5102 will launch into a basic interface that allows for quick access to email clients. QuickWeb might be more useful for the educational environment, but QuickLook is likely a more useful option for the business class user. The build quality, available webcam, keyboard design, long-lasting battery, optional handle, QuickWeb, and ability to play high definition video make the 5102 a standout in the netbook market. These options certainly come at a cost, as a unit with all the features mentioned above would cost in the mid-$600 range. This begins to approach the cost of a fully-featured laptop. The 5102 is clearly targeted for the business and education market. The quality of the unit is unquestionable, and the design would allow the unit to take the abuse imminent in an educational environment. Though the unit itself is extremely well-built and designed, the price may prove prohibitive to districts looking to enter the netbook market for the lower cost of the units. There is simply no doubt the 5102 is one of the best quality, highest performing netbooks available on the market today. 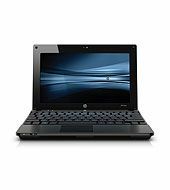 The experience using the unit is absolutely enjoyable, and it’s easy to forget one is using a lower-powered netbook when performing the majority of productivity tasks and web surfing. Though the touchscreen is an innovative concept, it didn’t quite feel like it worked on a netbook with such a small screen. The touchscreen is optional, and at this point I’d recommend simply going with the standard screen as the new mouse pad works well navigating and operating the unit. The ability to watch video content on the netbook without major catching or hesitating is also a welcome feature as many districts have video subscriptions available for their students and teachers to make use of. These subscription services could certainly be viewed on the 5102. The only concern with the unit is the price. It is at the high range of the netbook market, and districts will want to weight the cost to benefit ratio closely when determining if this is the right unit for a larger netbook deployment. The 9-hour battery life is simply outstanding.